Cement flooring in an unfinished basement, cement outdoor or garage spaces, they all have something in common don’t they – grey boring floors. Cement is actually an extremely versatile material that can be colored and used in flooring or other places. Using cement allows you to use any color and design that you want, the tiles are made with all natural materials and you don’t have to worry about a slippery floor. Here are a few ideas for cement that we love! 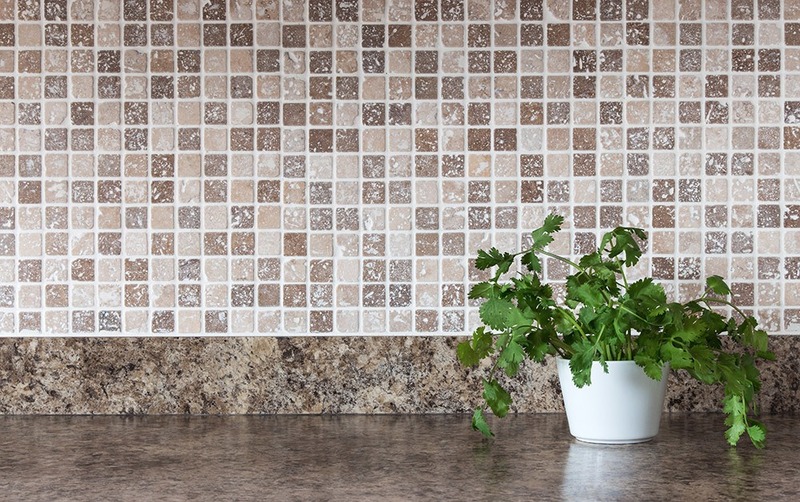 ade individually so you can customize any pattern or color that you want adding a personalized touch to any kitchen. In this photo they’ve chosen varying geometric designs resembling almost a quilt. The Bathroom: As we mentioned before, cement tiles do not get slippery like more commonly used tiles do making it ideal for the bathroom. Use them in the shower in a water design or throughout the floor of the bathroom in a continuous design to make the room appear larger like they did in this bathroom. The Mudroom: Not slippery, easy to clean, allows for style without much effort, we think these characteristics give cement tiles the nod in a mudroom space. You can get really creative with design here or just do a neutral color to compliment the walls or your family’s belongings. Notes: Something to keep in mind if you’re considering cement tiles, they are not usually heated. We saw many cool and fun designs for kitchen floors, family room spaces and even bedrooms but knowing that these floors are cold makes us think we better not use this here. Other great rooms to try cement tile designs would be basements, laundry rooms or the garage and drive away. Share your cement tile FINDesigns or any design project with us using #FINDesigns on Instagram or Twitter.